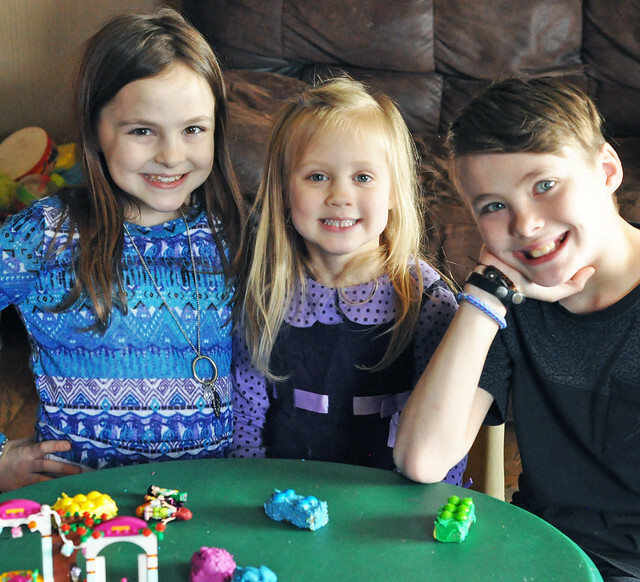 Our Five Ring Circus: LEGO Fun! 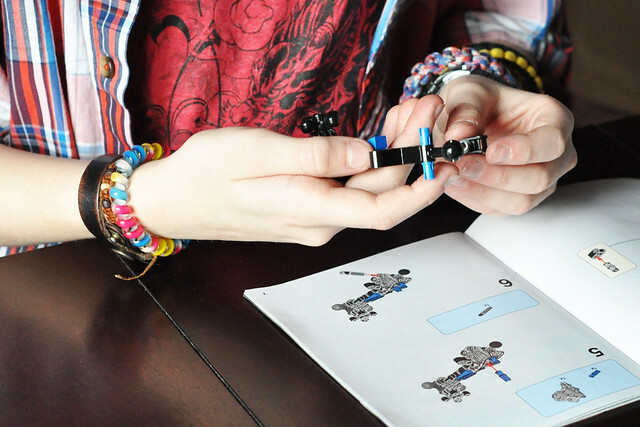 Childhood and LEGO go hand-in-hand. And let's face it: you can't be in the Experienced Parents Club until you actually step on a LEGO! 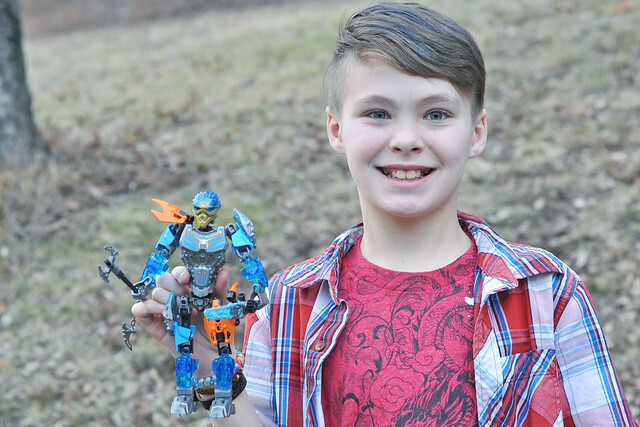 All joking aside, I truly believe LEGO sets are fantastic toys for kids of all ages and genders. (Confession: I like to build LEGO sets!) That's probably why we have two 18-gallon storage containers filled with LEGO sets and figures! The possibilities for play are endless! 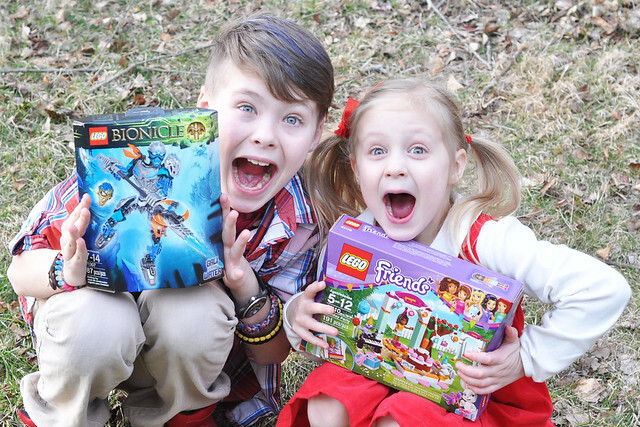 I remember how excited Dylan and Lexie were when they discovered LEGO series on Netflix. 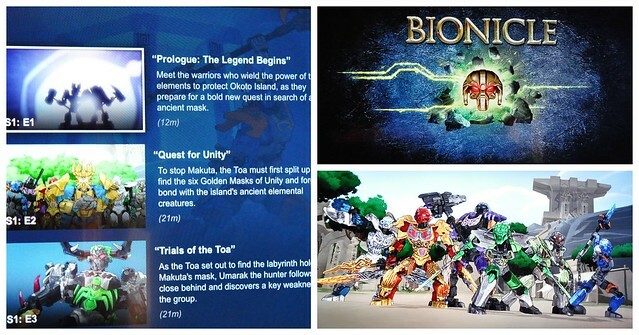 Now there are two new LEGO shows to watch on Netflix: LEGO Bionicle: The Journey to One and LEGO Friends: The Power of Friendship! To start the adventure, Netflix sent us a box filled with some LEGO sets! My kids are always really excited when a package from Netflix arrives, but their excitement was through the roof with this one! Dylan started building his set immediately, which I loved. I had planned on having him wait, but he just seemed so eager to build it. These days, my tween is too cool for almost everything. I was so happy to see him excited about a LEGO set again. It made me believe, for a few awesome moments, that there is still a portion of that young kid left inside of him! After Dylan completed the LEGO set, he proudly displayed the figure on his dresser, then started to watch the show. He enjoyed the show, and he was most surprised over the fact that Gali, the character he received, was actually a girl! A few days later, we enjoyed an afternoon of LEGO fun! 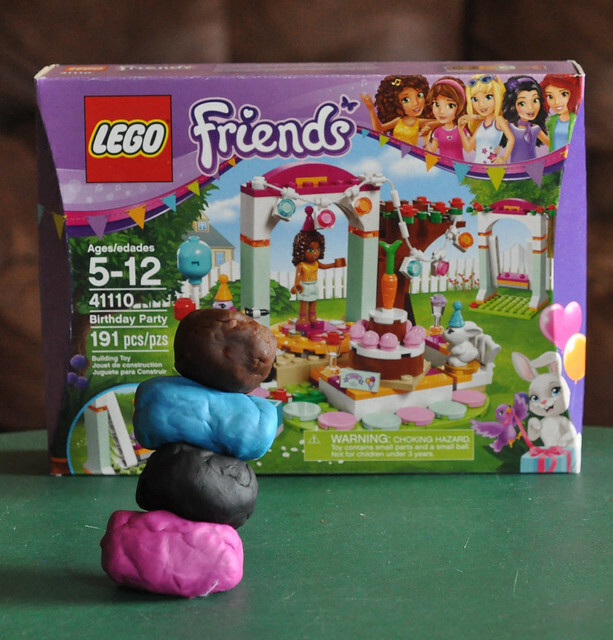 We put on LEGO Friends: The Power of Friendship in the background and got ready to build, play, and snack! Lily is not quite ready to build complex LEGO sets yet, so I provided her with an activity while Dylan assembled the set. I put a few LEGO figures in water, stuck them in the freezer, and planned on letting her chip away the ice. When it came time for the activity, they were still slushy, so I had to move on to a backup plan. 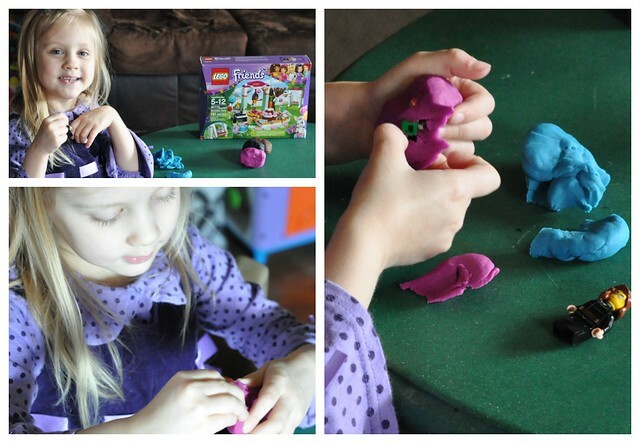 I "buried" a few figures in Playdoh and told her to dig them out! I didn't expect it to last long, but she enjoyed doing it over and over again! 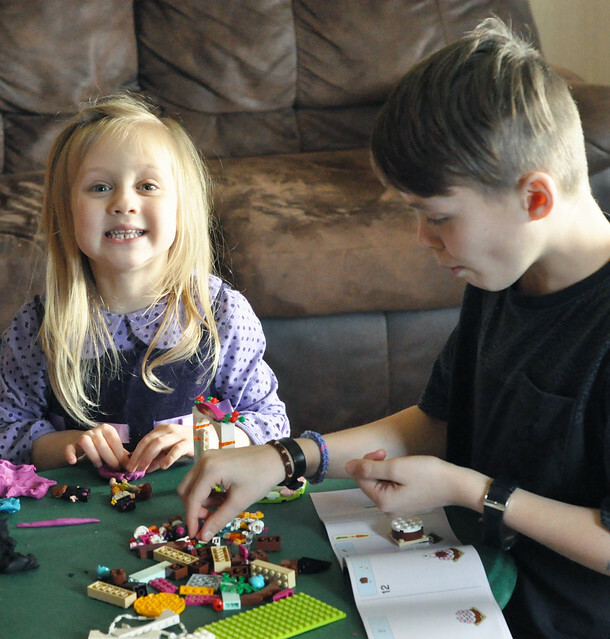 Lily was so excited when it was finished, and played with her new LEGO set during the second episode! Finally, it was snack time! The kids couldn't wait to eat their LEGO snack. (Although one little rugrat stole a few blue M&M's, which meant I didn't end up having enough!) They were so easy to make-with Lexie's help-and the kids LOVED them! Cut Nutty Bars in half. Spoon frosting into separate bowls, then add a few drops of food coloring to each, and mix. I chose 4 colors. Spread frosting on the top and sides of Nutty Bars. 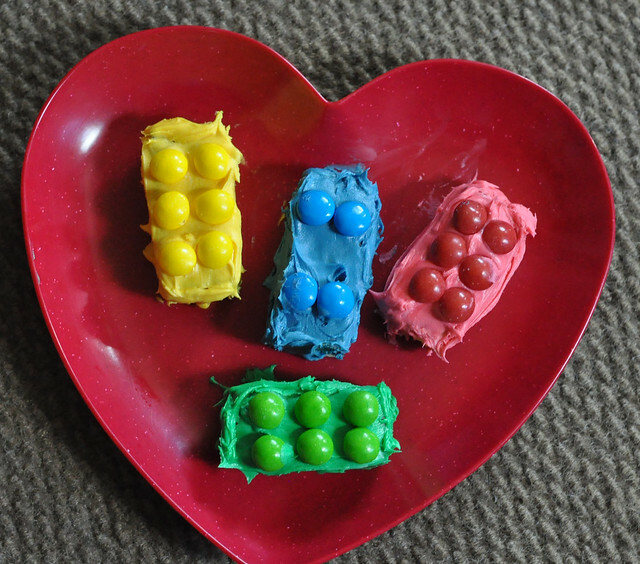 Top with M&M's and/or Skittles so the Nutty Bar looks like a LEGO! Thanks to Netflix, my kids had an afternoon full of LEGO fun! 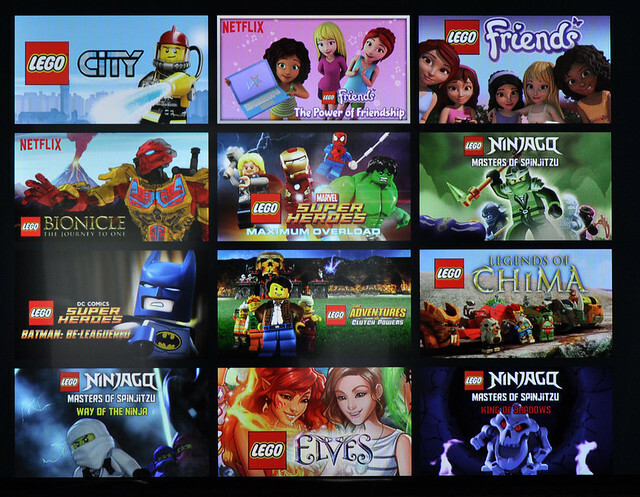 You can watch Lego Friends: The Power of Friendship and LEGO Bionicle: The Journey to One on Netflix right now! But there is also plenty more LEGO fun to be found on Netflix! Pee Wee? It's every bit as cheesy as the original and my kids (and husband) loved it! Lily is a big fan of Popples and loves to cuddle her Popple while she watches it. 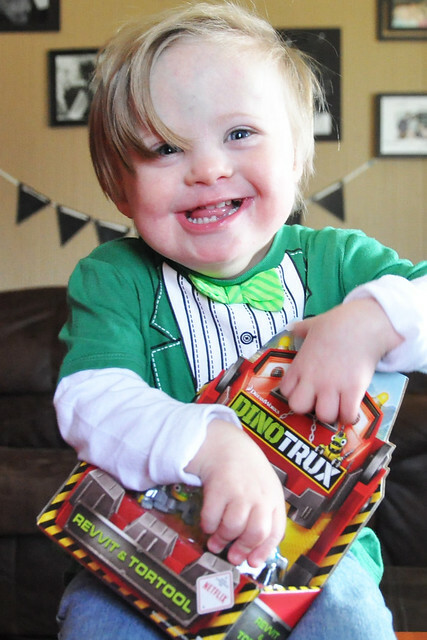 I still can't get Liam to sit still to watch a show, but he sure loved the DINOTRUX toys Netflix sent him! That is so cool! I love that Netflix sent the kids fun products to go with their favorite shows. Brilliant! It's amazing what can make a "teenager" act like a kid again. I love the snack you made. Adorable and so easy. Great job momma! Thank you! XOXO We're big fans of Netflix! My girls ADORE those Lego friends shows SO much. Lily and Lexie love them, too. I like them because they aren't obnoxious like many other cartoons! 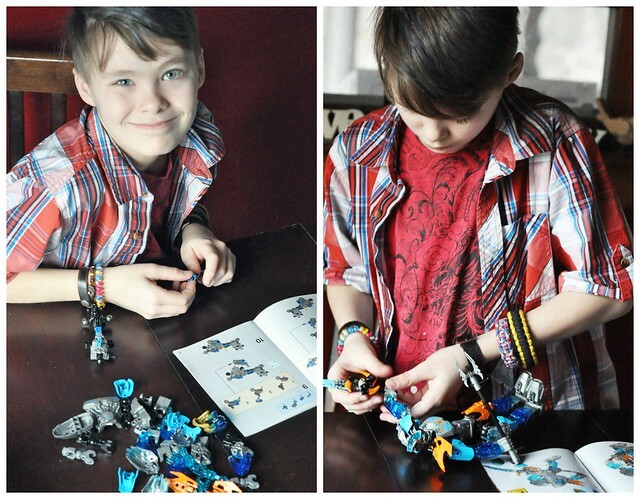 We love Legos too! Great post! 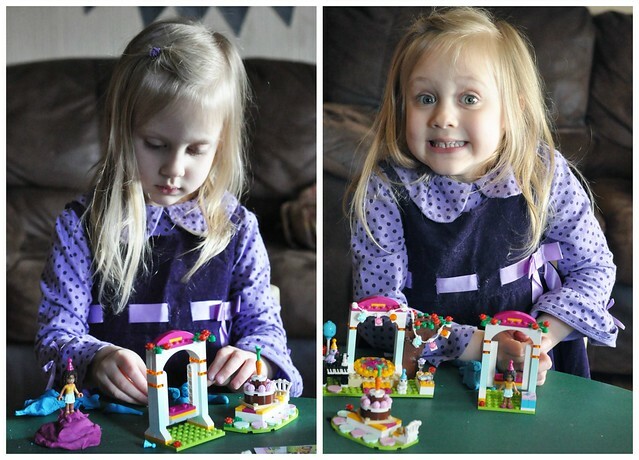 My daughter adores the LEGO friends series! What a great care package from Netflix! It's such a good show, isn't it?!? Netflix is always very kind to us!